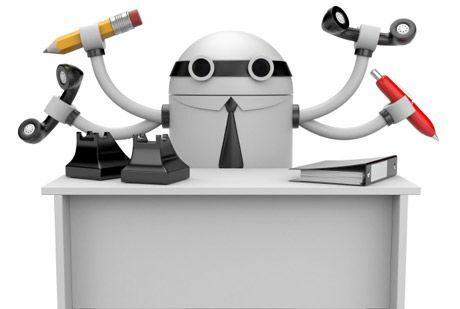 Will Your Job Become Automated? If you’re at a high school / college / graduate student, or simply someone employed at a job right now, chances are that this question has crossed your mind in the past. It surely has boggled my mind countless times in the past, until I decided to focus on choosing an actual career path first. Should I cross out the jobs that are likely to disappear in the future before choosing my path? Am I investing my time in earning the skills necessary to become professional in this skill, even if it means than in a few indeterminate years robots will replace me? Will my value as a human being decline when machines eventually replace me in the workforce? The only generation that still seems to be enjoying the gifts that nature has given us and hasn’t been brainwashed by technology and social media is dying out. By the time the next generation rolls around, they’ll think technology has been around forever. I’ve seen several (but still not enough) articles addressing these issue, but the Vox one (from the source above) has addressed both sides of the argument. On the one side, as humans one of the things that drives our passion is good social interaction. The stronger the bond we have with our loved ones and friends, the happier we are, and that applies to our work as well. We don’t go to Starbucks just for the coffee, but also for the environment, the social one. We still attend classes (any kind, really) because it’s more real than just replaying a Yoga class at home. Regardless of how much social interaction one may need, everyone and anyone can be stimulated positively in a healthy social environment. As an introvert, I know that this definitely applies to me. I feel most satisfied when I know I’m actively working with other people, proactively making a change with/for others. It’s so satisfying that it’s worth the mental drain that I feel after ‘too much’ social interaction. This is the last not-so-good argument that the Vox article addresses, which is entirely true today, and true for tomorrow. We’re in constant motion for the purpose for making a ‘better future’, even if it means sacrificing the jobs and careers of countless people. So where do we find the balance?